Boost durability as you dress up your Traxxas model with anodized style! These new aluminum shock caps are an ideal accessory for all Traxxas models equipped with Ultra Shocks—Slash, Bandit, Nitro Sport, Stampede series, Rustler series, and all Maxx trucks! The machined caps fit precisely and hold tight, run after run, jump after jump. 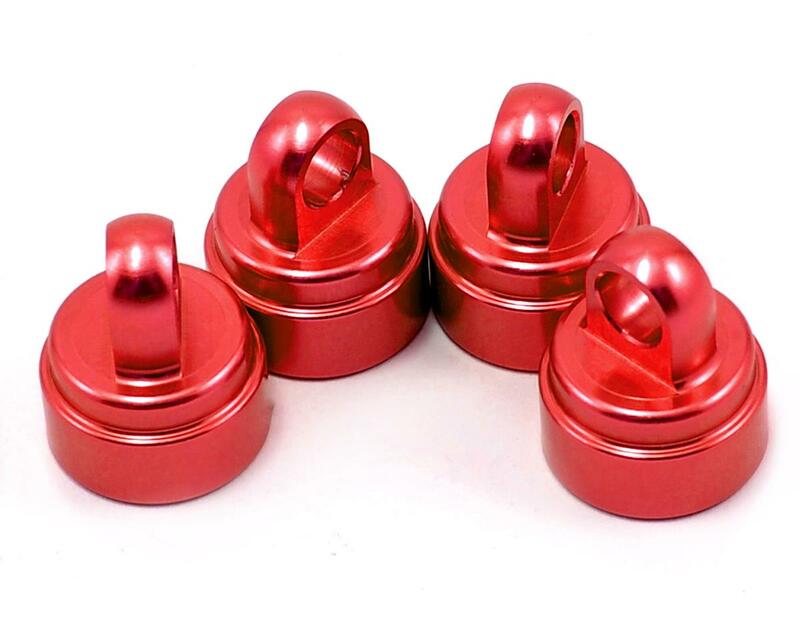 The caps install in minutes and add instant style with their rich anodized finishes in vivid red or blue. 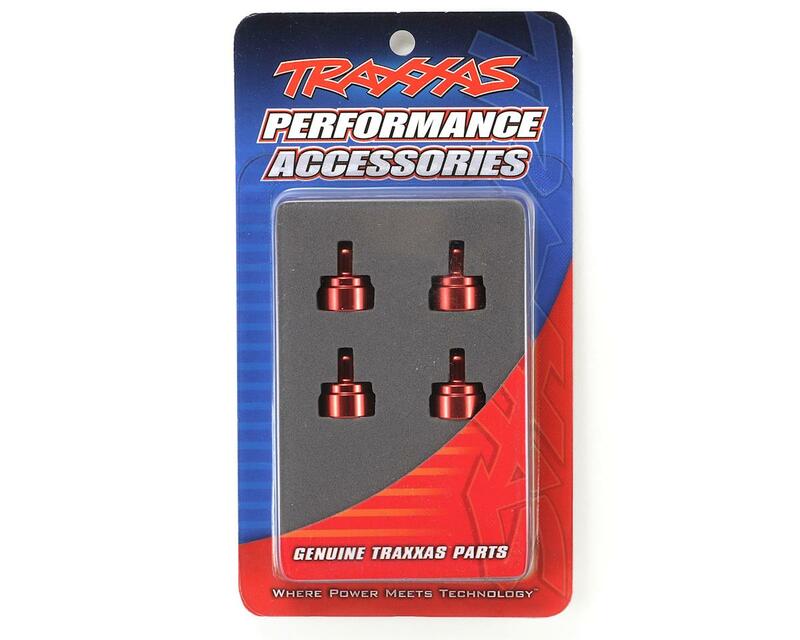 Each Genuine Traxxas Accessory package includes four shock caps. The caps look really nice installed and hopefully will prevent popped shocks. Interesting to note: mounting hardware (hex shoulder screws and washers) are included. These have been great so far. I have had them two days so far and I've been abusing then a lot more than the plastic ones which poped off after like a week of having my truck. They were easy to install and screw on and off much esier than the plastic ones. Plus the red finish looks great. Be careful driving on pavement without the body though, I rolled my truck and they scratch pretty easy.